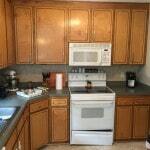 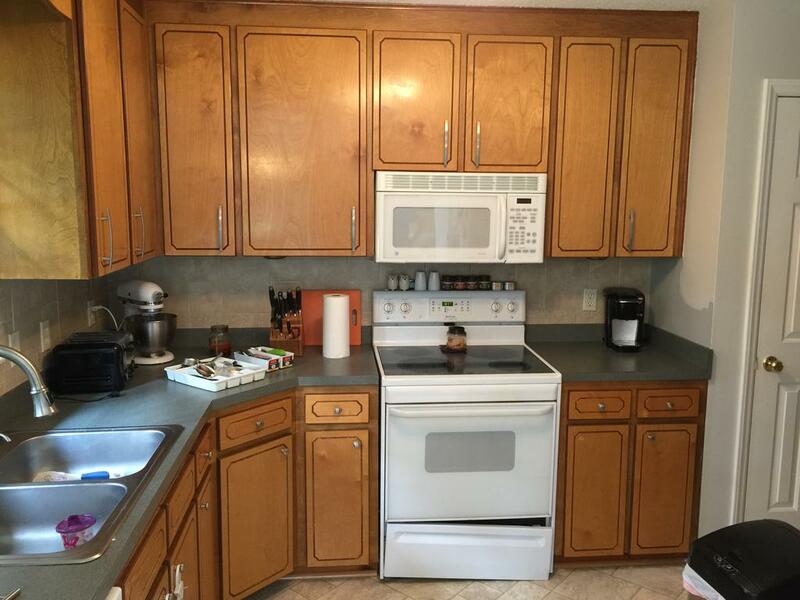 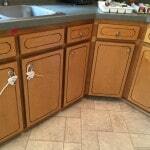 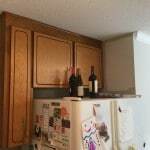 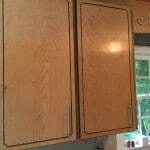 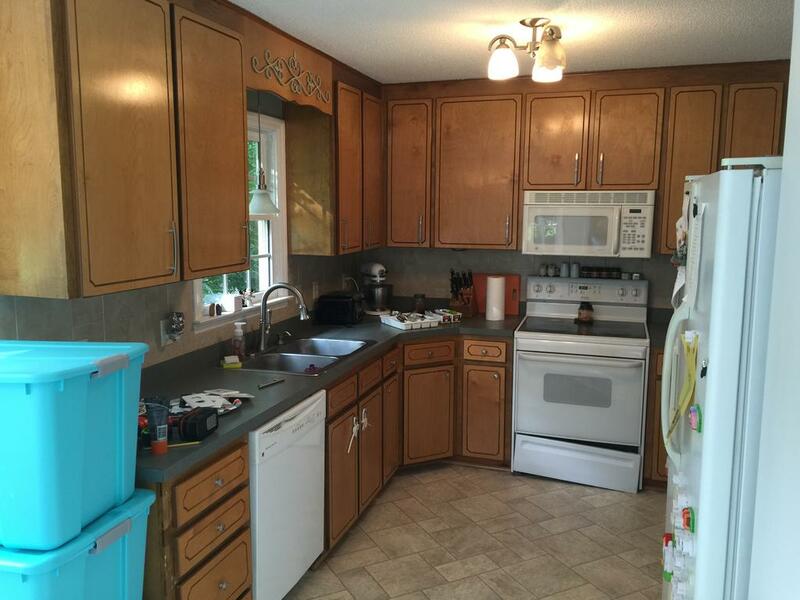 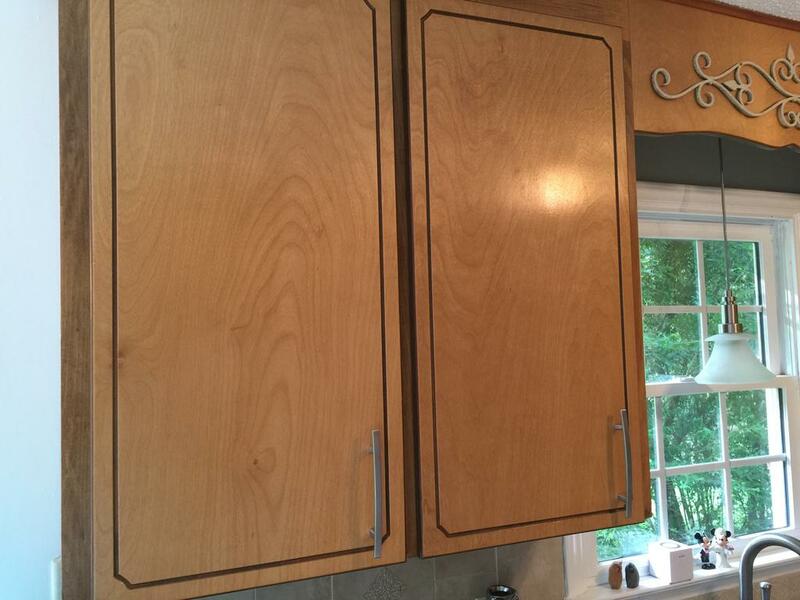 Updated these groovy solid wood 60s style cabinets with a more modern color scheme. 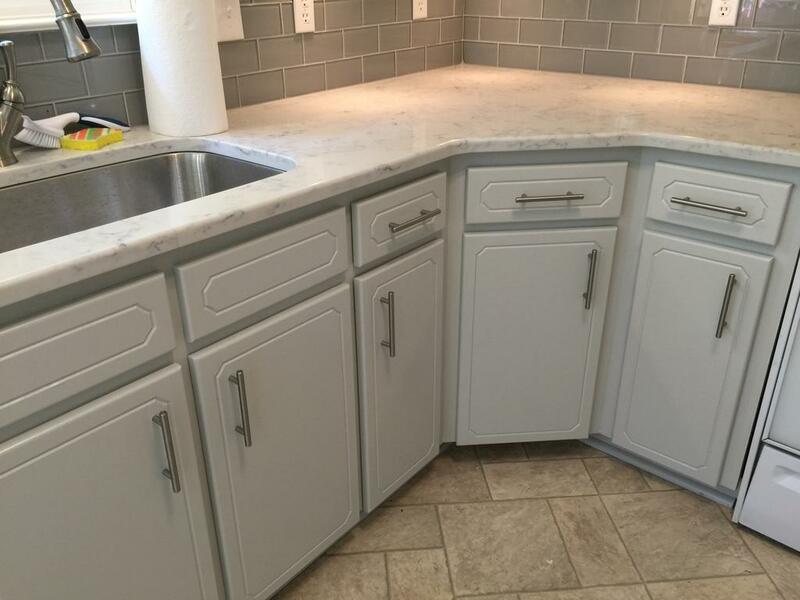 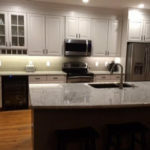 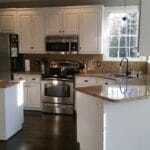 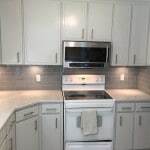 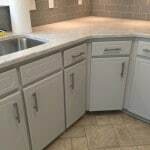 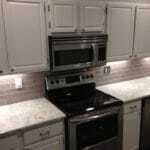 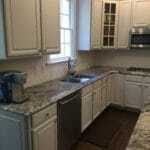 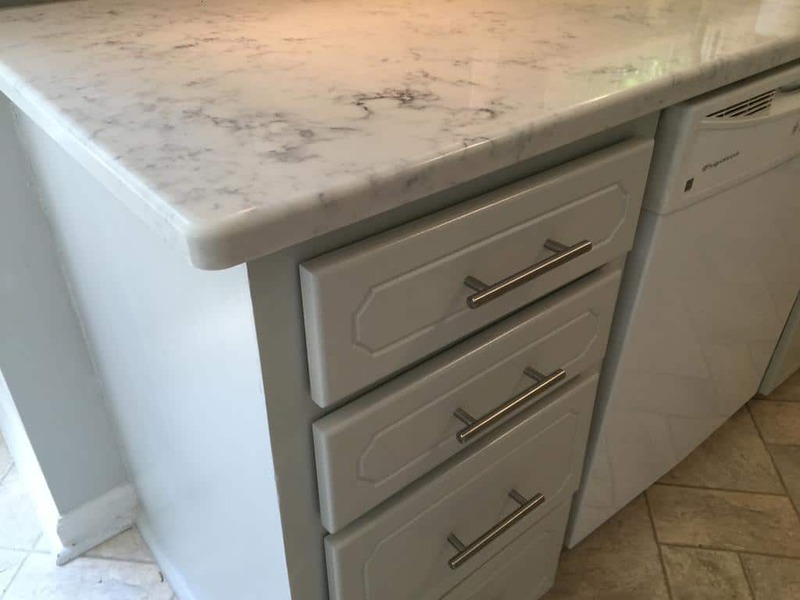 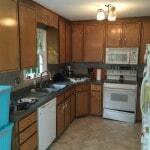 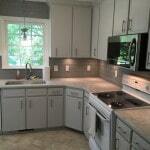 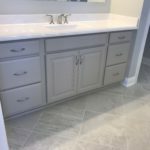 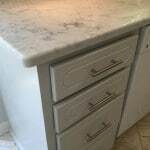 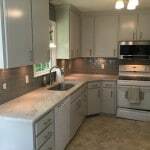 Now they fit perfectly with the gorgeous new counters and backsplash. 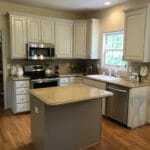 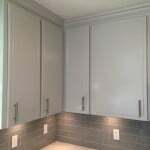 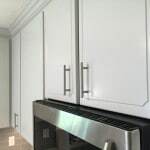 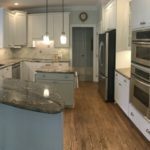 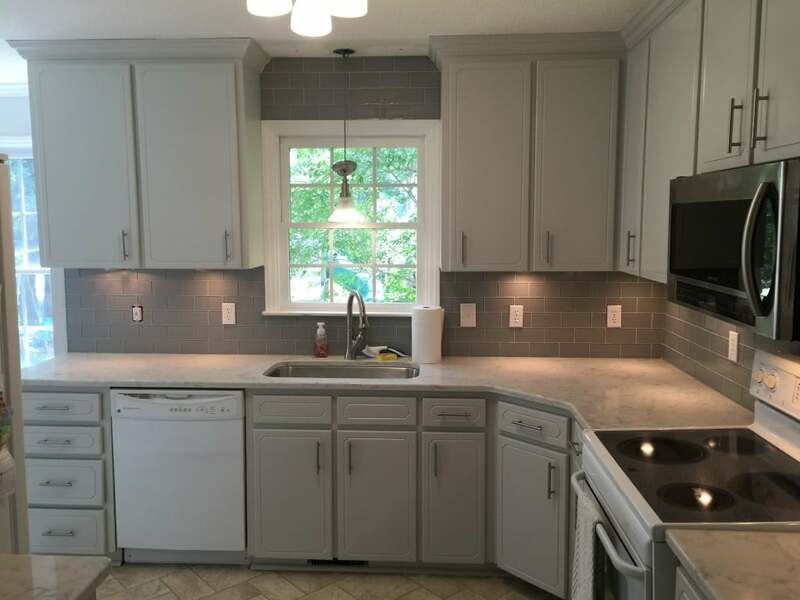 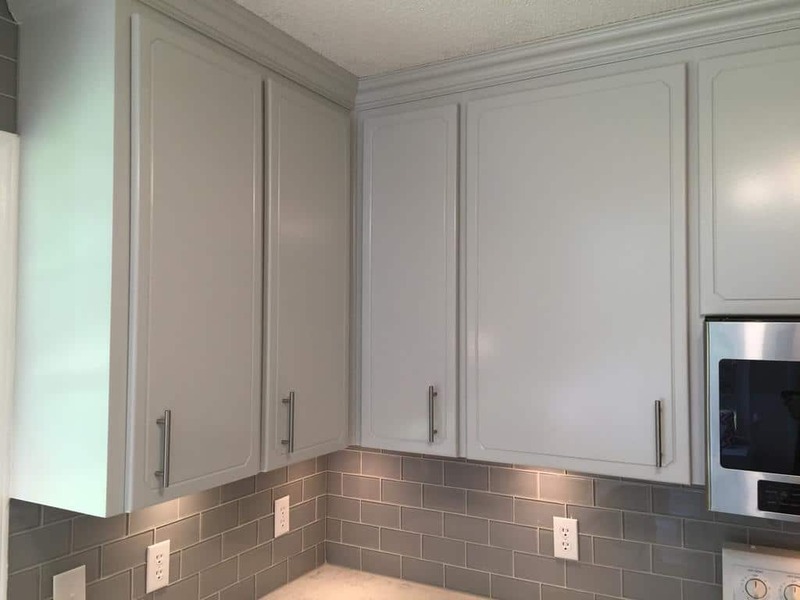 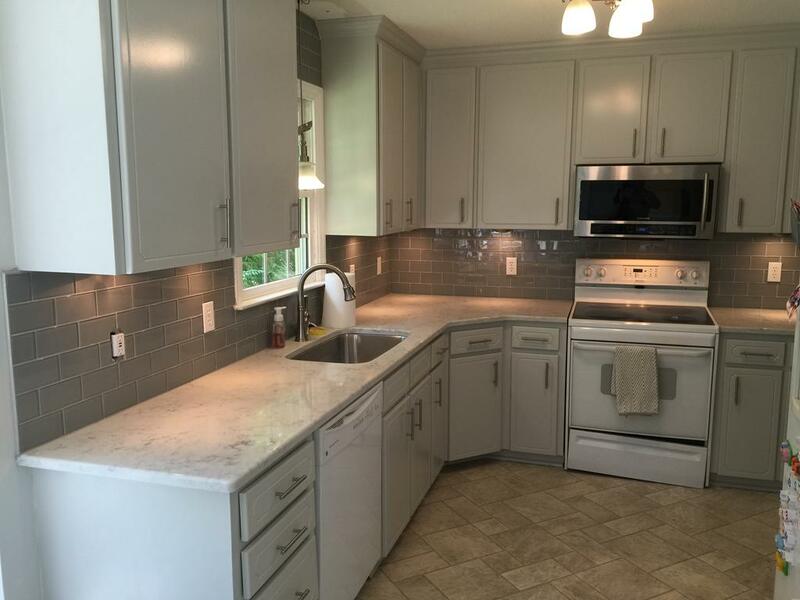 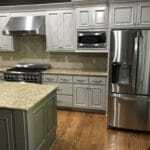 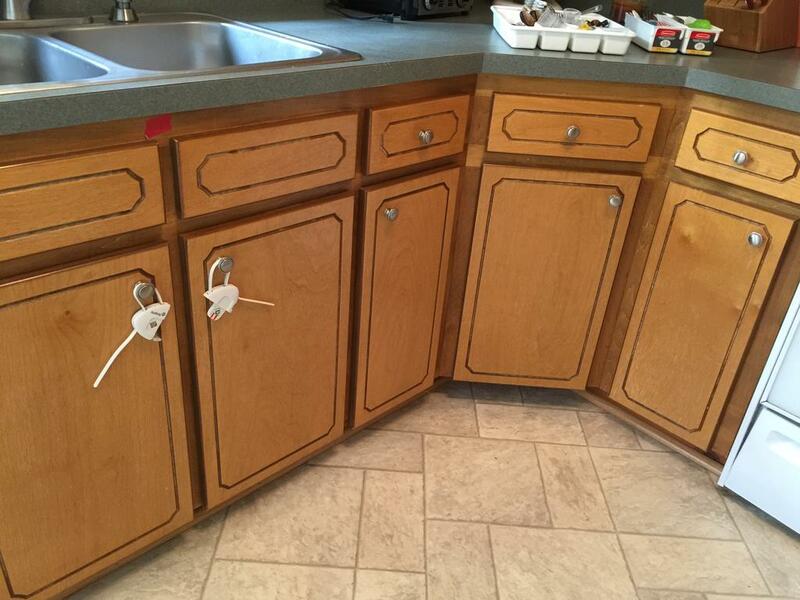 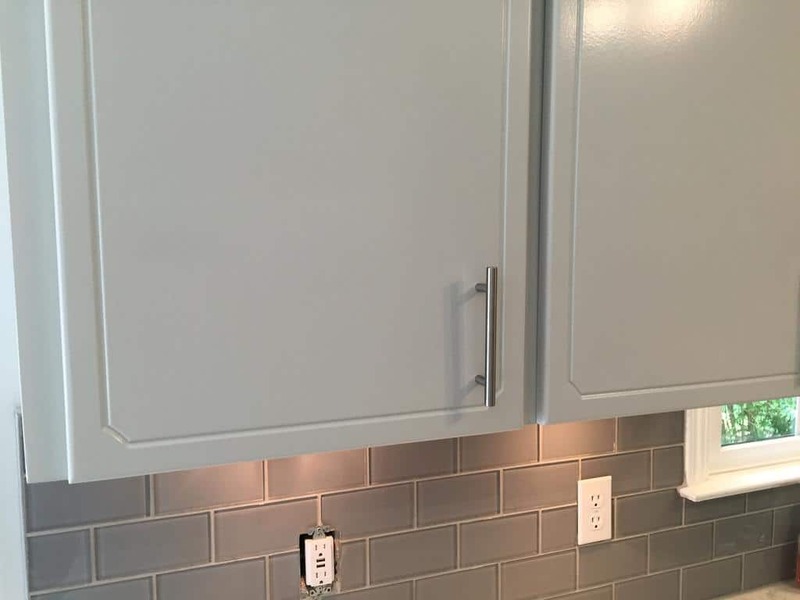 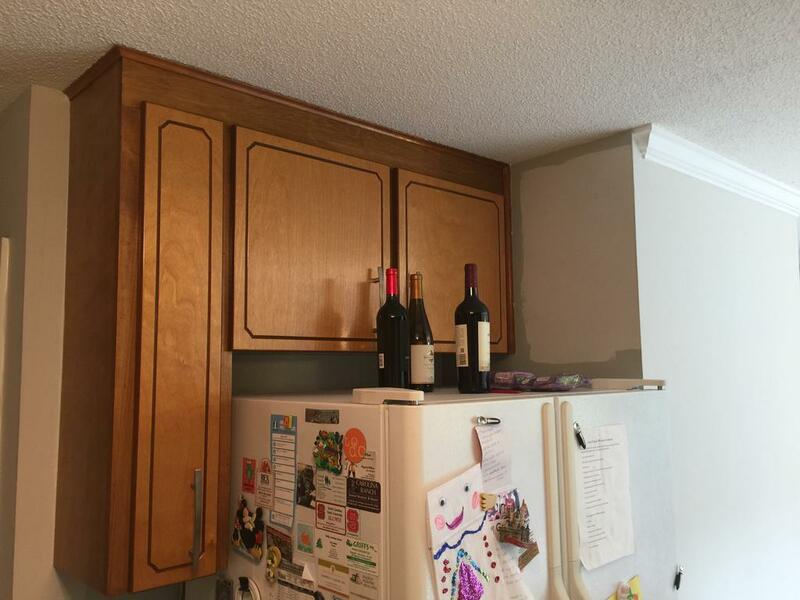 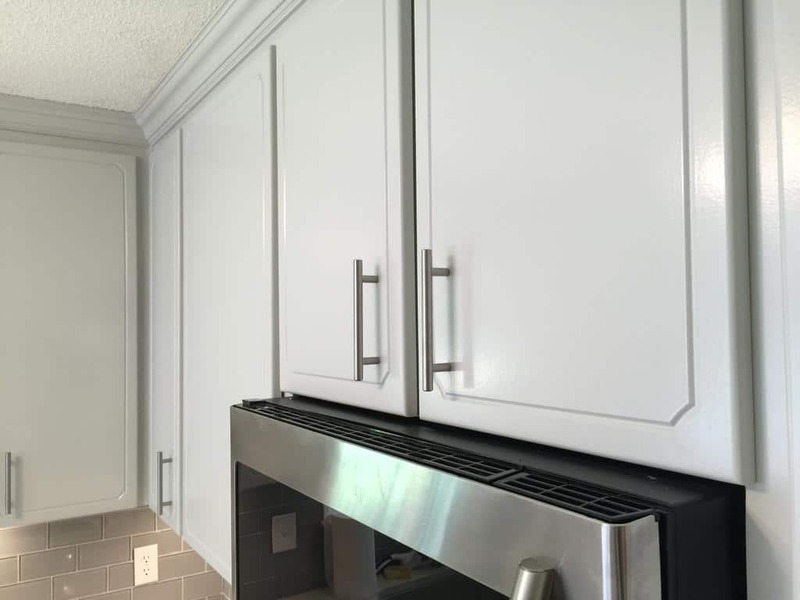 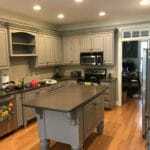 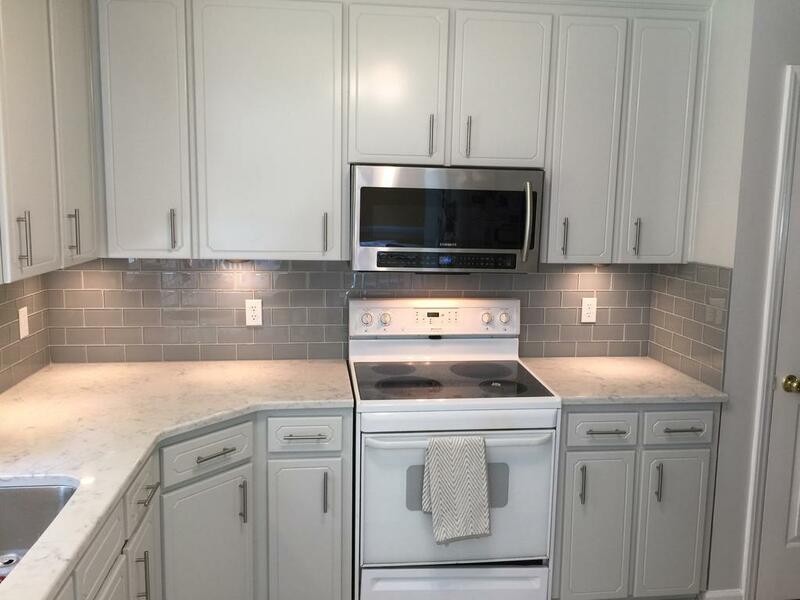 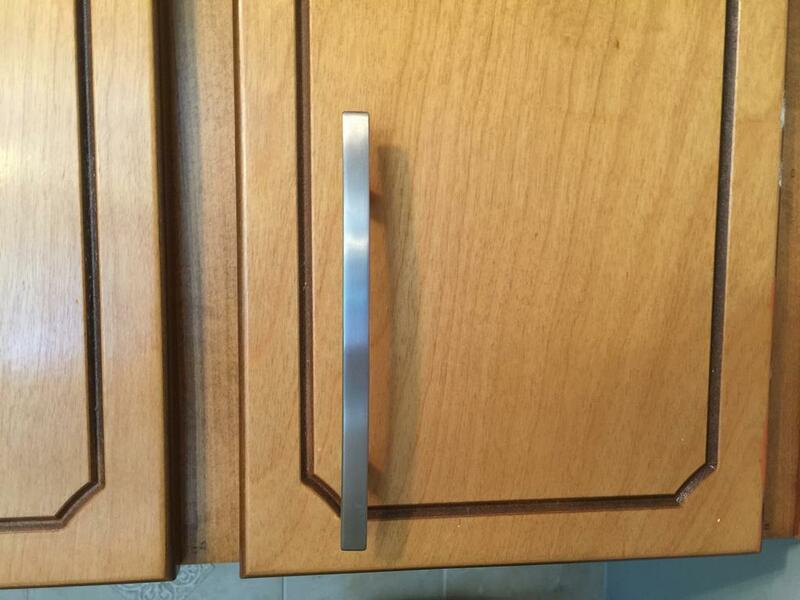 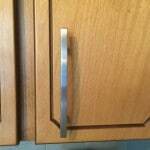 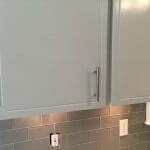 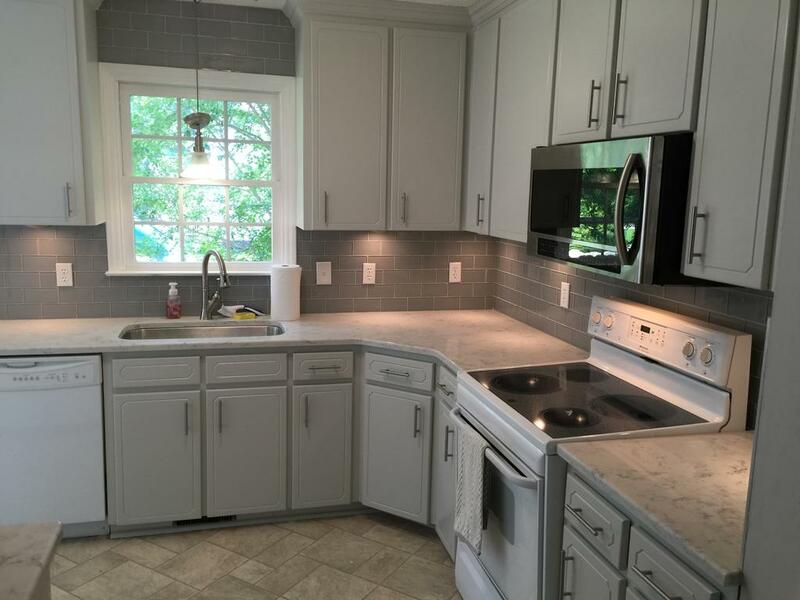 We added Gray Owl to the cabinets and installed new hardware to freshen up the overall look.